This year in March, i was able to attend my first Barcamp in Hamburg… The topic was: IT-Service Management (http://sm-camp.org) and it was organized by Robert Sieber (http://different-thinking.de/blog/). Basically it’s a self-organized conference of people who want to share experiences or their thoughts with others to that specific topic. 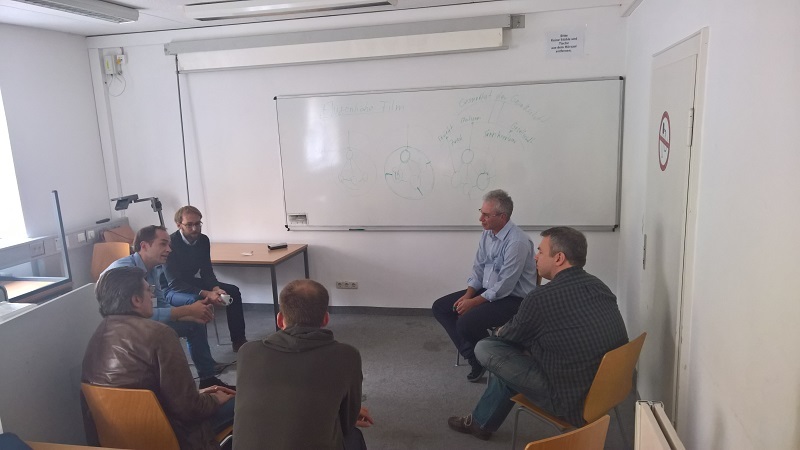 In my eyes it is a perfect way to discuss a specific approach on which you are working on… this Barcamp is ideal to receive feedback from others. 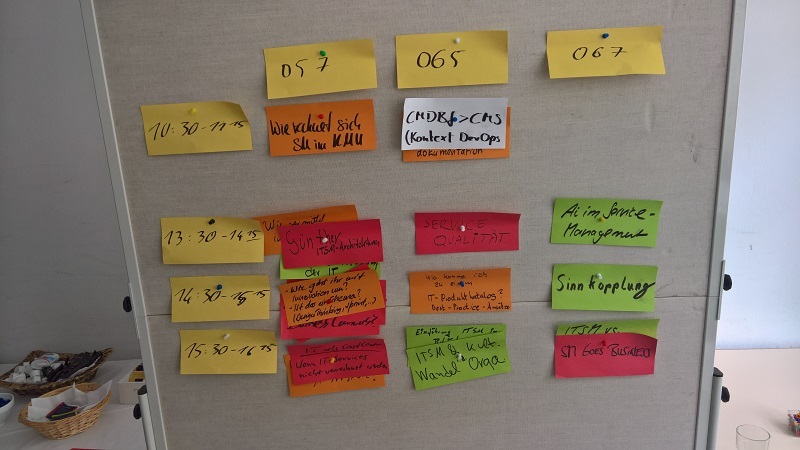 So I learned to love Barcamps… in October Robert already organized the third ITSM-Barcamp, this time in Munich in the LMU Munich (https://www.uni-muenchen.de/index.html) on the 14th + 15th of October. So on Friday (14th of October) we were 30 participants in total from many small, mid-sized or big-sized companies. Everyone is able to raise a topic for the camp, so if there will be people who are interested into that topic, it will get a session assigned. The main question I had was: How do you deliver the big picture of your whole company to a newly introduced employes or is it necessary to do that? My first approach was, to create the picture (in the post above) as a support tool to explain that whole architecture of a service company, I thought it is a good idea to explain it with this picture, but the majority of the other people were not happy with this pictures, because it will scare a new employee who has no experience of Service Management, someone who is deeply into Service Management will maybe get a better picture of his company, but only you are able to create some mapping examples within that picture and specific examples from real-life daily story’s from the company. I really enjoyed to discussions and the exchange, sometimes these discussions were a little to much philosophizing, but on the other hand: philosophizing can be the beginning of innovation! I also really enjoyed the evening program and the diner in the Augustiner Braustuben (http://www.braeustuben.de) in Munich! So, if you are working in IT-Service Management, I really recommend you the next SM-Camp (http://sm-camp.org). Next time it will be in Dresden.